Human hair is developed by a type of protein called keratin. It’s been recently discovered that this organic protein when applied to the hair with heat can radically improve the condition, look and strength of your hair. 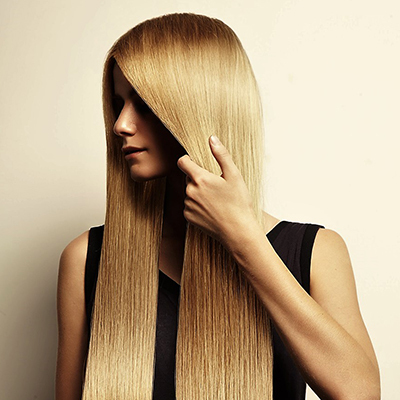 This procedure is called a Keratin Smoothing Treatment Solana Beach CA. However not all Keratin Treatments are created equal. Some have harsh chemicals in them including Formaldehyde. Radici Hair Studio uses only a natural, Formaldehyde-Free Keratin Smoothing Treatment by HED. This smoothing treatment will remove 90% of your hairs frizz and stubborn curls, while shortening your blow dry time by 40-60%. This is ideal for those low-maintenance people who don’t want to blow dry at all. The miracle treatment will leave your hair silky smooth and frizz-free for 4-5 months. Not to mention giving you the ability to achieve a salon blow-dry effortlessly on your own. Our treatment is safe to use on all types of hair included damaged, over-processed and color treated hair. For any further questions call the salon or schedule a consultation.